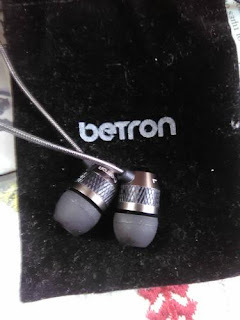 Gadgets tested by Zach: B25 Betron: Very good ear phones! 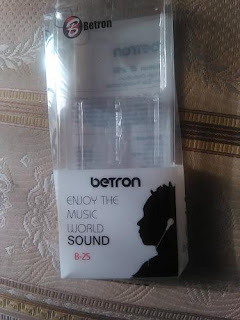 B25 Betron: Very good ear phones! A bit long ago ,around four months, my Sansa in-ears are being very close to collapse .I ve used them for 12 years . 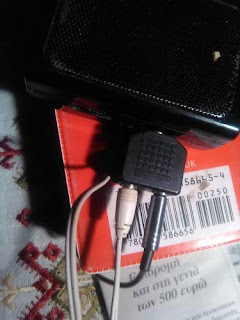 They are part of an old Sansa 512 MB mp3 player ,defunct by strong usage and looong time , that included SD memory socket extension of up to 2GB RAM maximum . For this reason i decided to look into a newer performer via Amazon that can reach the quality of my K512 studio headphones I use in my computer. I am very satisfied with the fidelity of 512.It as a crystal clear audio with my mp3 collection. A sound technician informed me that most AKG models offer a natural sound. For much time was searching via the Amazon site with various in-ears or mid sized models with sound close or similar to this AKG model. Based on my search preferences Amazon sends me nearly everyday recommendation emails with various similar models to what I ve looked. There were a Sennheiser model and also several models from a new (?) British company called Barton. I was amused that many Betron models are top sellers as the RK300 with around 2800 reviewers and the B25 with around 4500 reviewers as of mid May 17 .Quite many don’t you think ? As jobless I have quite limited budget to make gadget purchases and just keep looking at models that can suit to my money requirements unless I collect some of my monthly portions to make an 'important' purchase. Some of you I think know my story when I was working in the uni until two-three years ago. It has been posted that time in ipernity.com .I tried then many times to be hired but due to my age and low 'specifications' none can 'buy' me for work. Companies are even decreasing by day due to austerity reasons and high taxing .More than 50000 people have committeduicide in these 8 years of austerity. Back to the story. Betron's prices in Amazon are lower comparing to EBay or even much lower to the company’s site. For example the model B25 is offered for 11 GBP (12, 5 Euro) out of 30GBP (36Eu) normal RRP price (?? regular retail price?) As referred in Amazon. EBay at 15 Eu is nominal price among various sellers .I don’t know if this just an advert trick to promote it via Amazon but I think that the price is good if the model has proper specifications. Shipping cost is good at 5 GBP (6Eu) via Amazon and quite high at 11.8 Eu via eBay. Amazon's prices surely are lower and lead to a total cost of GBP16 or 20 Eu which is marginally sufficient time , a little cheaper than the prices of several Sony in-ear models in the local market (at ard 25 Eu) Still quite good offer I think. B25 has been ordered on April 26th 17 and was supposed to arrive on May 12 based on Amazon's calculations. I was much surprised to receive it on May 5th just 10 days! Unfortunately the case has been dropped immediately after I removed the earphones and by chance it has been jagged by a ..shoe. Anyway I didn't use it except for this photo. There is a nice typical carrying earphone case with some accessories included. Unplugging from its case is very easy and does not tear the cable. It happened to me many years ago by manufacturer's fault to tear the cable because it was very stiffly hung inside its box base. The design is impressive. The color is "gun metal" as noticed in the rear of the case that seems as like it is a metal base with a rough jagged plastic part in the middle. This is what I thought. I was wrong! Just put a magnet near that. YOU will observe that the base or something inside is metal and can be dragged easily by a magnet. I had a communication with the company. Betron's contact person advised me that nearly all models use metal base. The cable has a metallic colored tigray surface over it and a plastic surface across its length. Each bud has its own cable of 1 mm thinness of ca 30 cm length connected via a nice 'metallic' 1 inch splitter, around 90 cm of 1.2 mm cable that leads to a 1.2 cm long 'metallic' base of 3.9 stereo plug. The magnet does not affect these surfaces; it can possibly mean it is aluminum made. Rate: 5/5 you can feel a much more expensive model from its design at a very modest price. 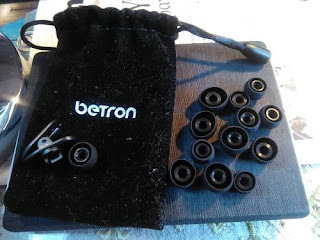 The earphones are accompanied with a carrying case an impressive set of 13-14 pads of various sizes with black color and one clip to support the cable over your dress. There are three sizes. The provided over the buds are the medium sized ones. As someone referred in a review on another model (RK300) every size offers a different fidelity sound the smaller offering a bit more trebles over the fatter .I have not tested so far but it is possible but I do not intend to check it for now . The buds fit properly in my ear canals. My ear canals are a bit different sized. The left ear canal is s a bit wider than the right. 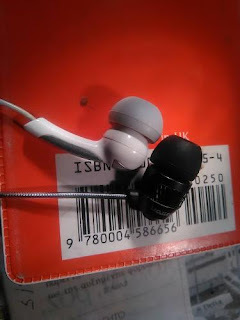 Once I had to change the one pad in my Sansa earphones and put with a fatter so that the bud cannot fall from the ear. Prior to that their ear pads fit perfectly to my ear canals, though they are a bit tiring after short time but later the one of them was torn and replaced .Of course it depends on how deep they fit inside the ear canal. However as deeper are they become bassier. Once if move my head across the time of listening their cables giving trickling send. These sounds do not happen using the Betron earphones. Betron’s set is a bit annoying to my ears. The buds are quite loud as most in ear models, louder than any other earphones for the same volume level. 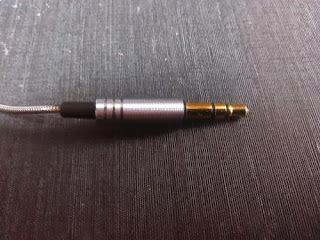 I used a 1:2 audio splitter to connect both earphones to a mini analog Bolong radio. This is the one with the best though quite trebly audio in FM band. I checked with it several FM stations for comparison. One station transmits Greek folks and Sunshine FM with ambient music with the clearest audio among the local FM stations. Parallel using with the Scandisk: Sansa earphones show near identical volume. Both have very trebly sounds compared to other earphones as like removing Dolby in older cassette players. Sansa shows quite bassier sound while B25 shows a bit higher top band trebles. Both have very clear sound. Parallel Comparison with AKG model 512 over Bolong radio : Sunshine FM sounds nearly identical to studio quality with AKG headphones .Betron's sound is sharper with nearly little richer and deeper bass as AKG (only if earphones are deep inside the canal) but above middles and high frequencies are quite shaper to annoy my ears . In contrast Sansa earphones show the same with much bass that annoys my ears! Buds are very simple plastic buds with surely low noise cancellation. For higher cancellation I think the buds should have a spongy surface in between the lips and the base to absorb more noise. I use the phones in quite low levels , just above the mp3's or radio's threshold and still hear my wife’s talks and shouts by a little lower level ! This can possibly mean I have to raise the volume higher until it covers external noise! Nearly 12 years after, ethnology seems to change much but sound tech not so much. Sansa was easier to wear though trickling sounds from the cable once you move are annoying your ear. Betron B25 on the other side offers good quality with the same depth as middle grade studio headphones (AKG models) with very high trebles .Their noise cancellation is rather poor comparing to what I expected .I think that the ear buds have to be redesigned for this reason . 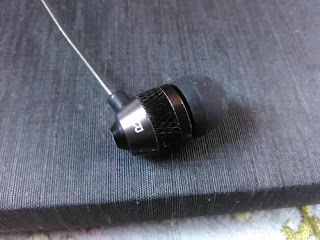 Unfortunately after writing this report my old Sansa in-ears was unexpectedly died. Now B25 is my only in-ear-phone! Αναρτήθηκε από Zach Liang στις 7:41 π.μ.